Please note that GUIs created with this tool might not be editable with a later version of it. Make sure that you have finished editing any current GUIs before updating. 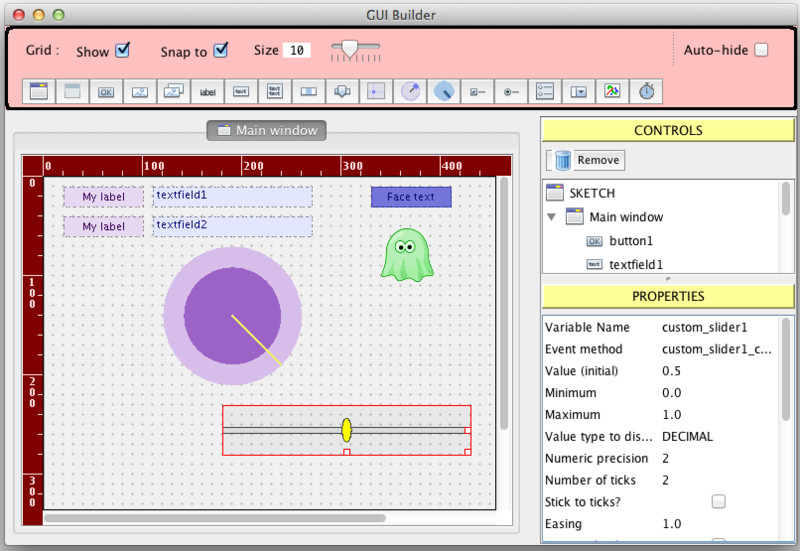 The GUI builder tool provides a visual environment for the rapid creation and editing of user interfaces using GUI controls in the G4P library.